Makeover Monday is a global initiative started by Tableau to encourage people to build visualizations. It involves releasing a new dataset each week and letting people reimagine the way it is visualized. It’s a really interesting experience and anyone can participate. We became involved as an opportunity to benchmark what Yellowfin could do compared to other tools in the marketplace. As everyone starts with the same dataset, we’ve also found it to be a great way to push what we can do with our own product. Thanks to a bit of healthy competition, our own users have also built their skills in creating great stories with data, both internally and externally. You can see this come to life in my favorite Makeover Monday so far, where we looked at African American participation in baseball. The dataset for this exercise was quite simple – it showed the percentage of white, African American and Latin American people who participated in baseball between 1946 and 2016. But our analysis told a fascinating story about the history of African American migration within the United States and urbanization. First, we mapped the data and identified some interesting trends. There were peaks and troughs over time, so we questioned why each one may have occurred. This led us to start exploring what was happening in the United States at each of those points in time and the history told an amazing story. By overlaying historical data we could see that one peak coincided with a period of migration – African American people were moving from the south to the north of the country following the civil war. Baseball is more prevalent in the northern states so African American participation in the sport increased. Another peak coincided with the urbanization of African Americans. You need (relatively) a lot of land to play baseball, so when people urbanized the number of African Americans playing baseball decreased. To demonstrate this trend we overlaid proxies for urbanization onto the data. This Makeover Monday process also demonstrated how well Yellowfin performed against our competitors. We’ve shown that you can do amazing things with visualizations if you take the time to think about what you’re trying to present. What’s impressed me the most is the impact Makeover Monday has had on our own staff. 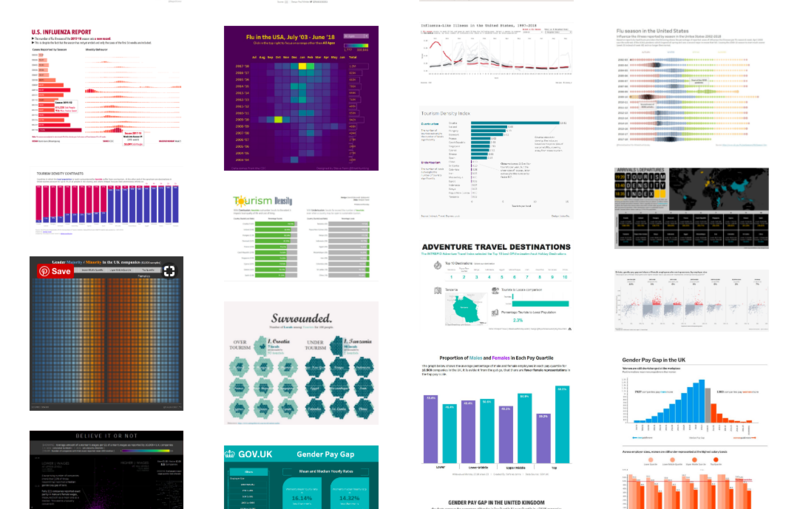 We now run an internal competition that has forced our consultants to lift their game when it comes to designing beautiful dashboards and analysis. As a result, they’ve produced some work that has been absolutely mind-blowing. Personally, I love seeing the different data stories that come out of this exercise. Makeover Monday is a great initiative and I encourage everyone to get involved.